I have been using regular liners for LBL cause you never know when you may have a slight accident. Since trialling Poise Active Regular Ultrathins Pads with Wings I do feel more confident knowing there wont be leakages when I least expect. I love the wings that are on them, with regular liners it’s just the pad itself but with these you have that extra comfort knowing they are going to stay and not curl over. 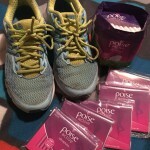 Poise is a brand I now trust, and learning to trust more as I go each day with wearing them. I’ll give more progress as the days go by. 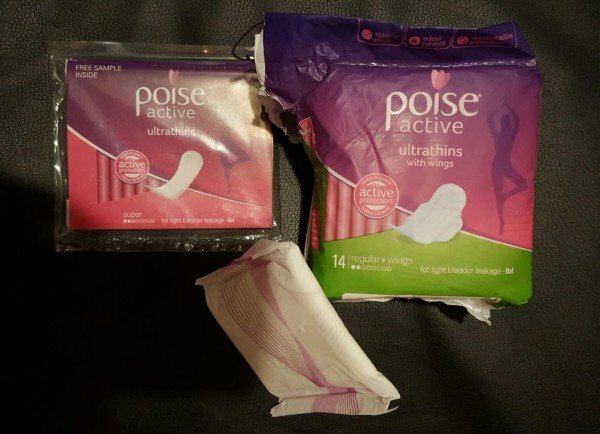 I tried the Poise Active Ultrathins Regular with Wings and thought they were great. They were very effective at keeping me fresh and dry and felt really comfortable to wear all day long. The wings keep it securely in place without scrunching up. They gave me the confidence to exercise without worrying. I would definitely recommend these pads. I’m always reluctant to try new products like these because I’ve been disappointed by similar products. 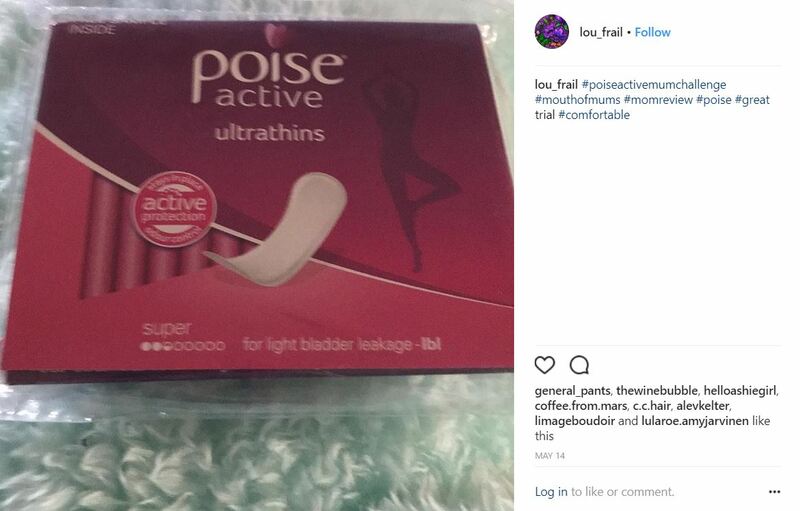 I found the Poise Active Ultrathins thin enough that they were very comfortable. During exercise I felt more confident and while this wasn’t the best product for me it certainly was effective. I love this product delivers what it states liner is held in place well with wings my only problem was on certain fabrics I had trouble getting the wings to come unstuck neatly,they left sticky backing behind in some parts. I would use them when I’m more active & without wings when just at home. 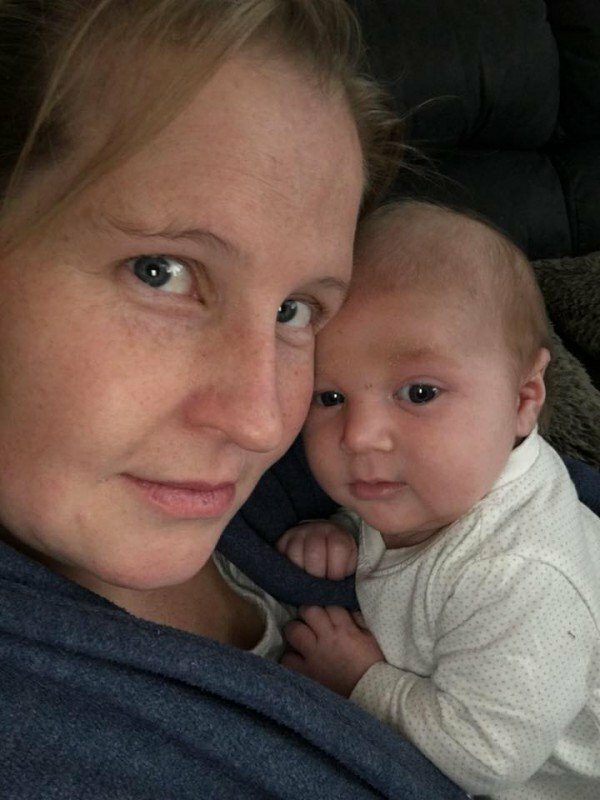 We all have the worry of minor leakage after we have kids and operations and with that you have a bit of self doubt of wether to go out or get physical because nobody want to go out and have odours coming from you that you would expect from a two year old. 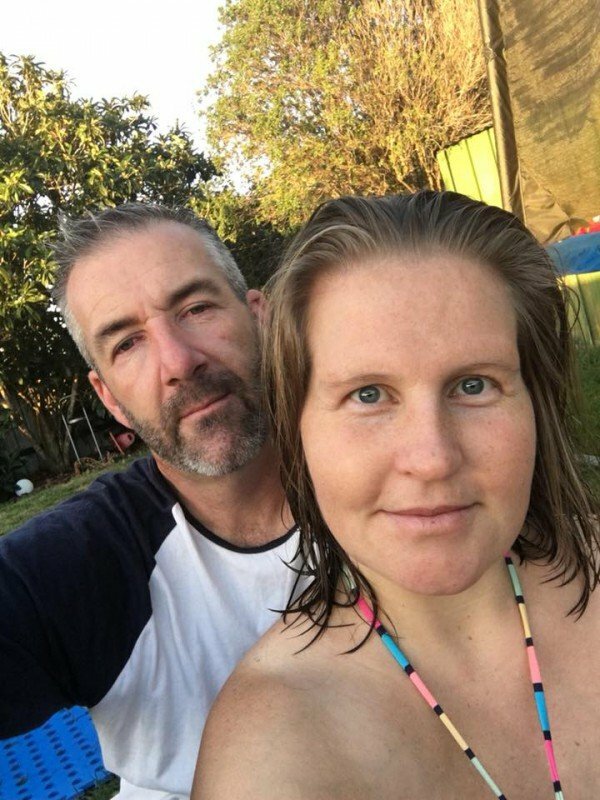 In saying so I’ve had four c-sections and exploratory surgery and appendectomy done and that causes major issues with the tummy and and pelvic muscles. 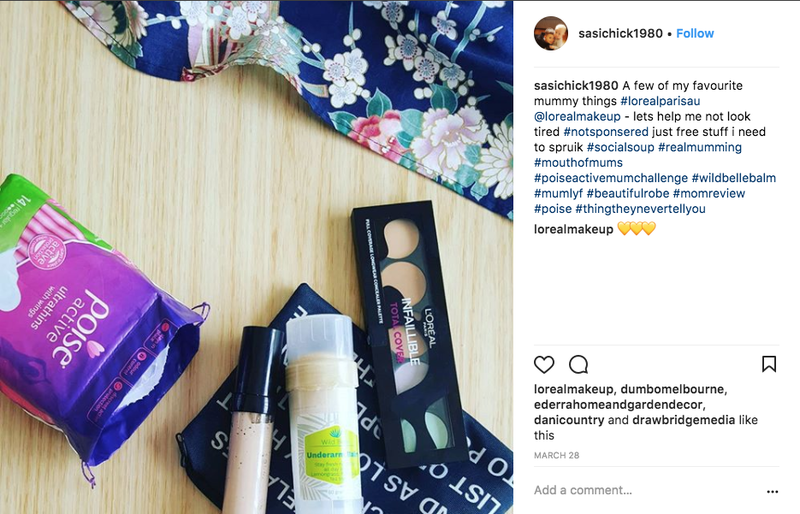 So I’ve tried the poise active liner and compared to what I was using, it is more suitable and quite comfortable you hardly realise their there. 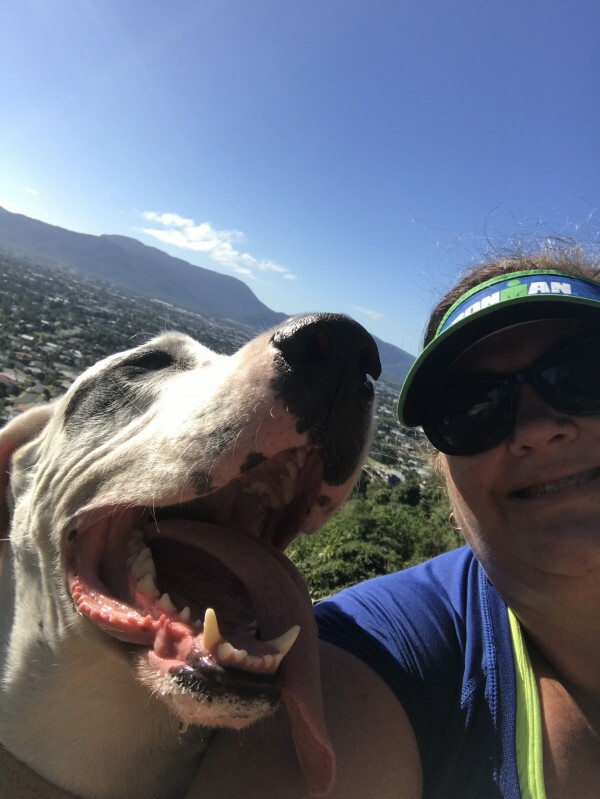 Because I do go on walks and hikes most morning and trying this product and getting that extra protection and not having to worry was awesome. It’s something I would more likely recommend to my friends as that little backup without others knowing you’ve got it. Thanks Poise???? 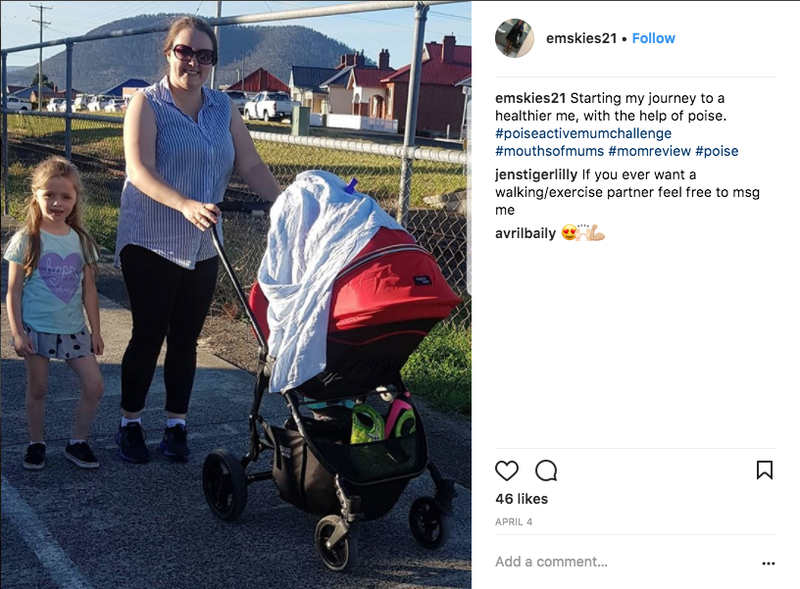 Well tried poise for the first time, After three c-section and poor muscle control after a catheter not being removed properly, things don’t work as well as they should, doing a hike, it was great, kept me dry and even when you get a bit sweaty it helped. 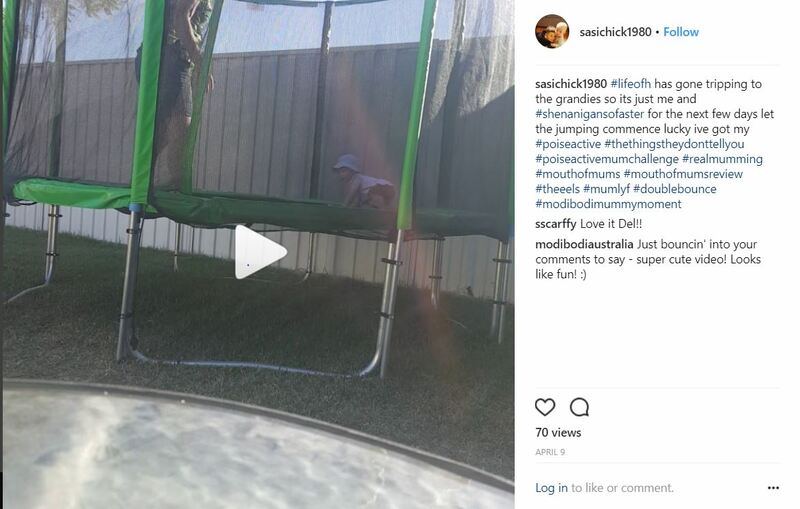 My biggest proof of how well poise worked, I jumped on our trampoline with a full bladder and I knew there would be some leakage and it definitely kept my underwear dry and I didn’t even have to tell the kids that I had to quickly go change my underwear. 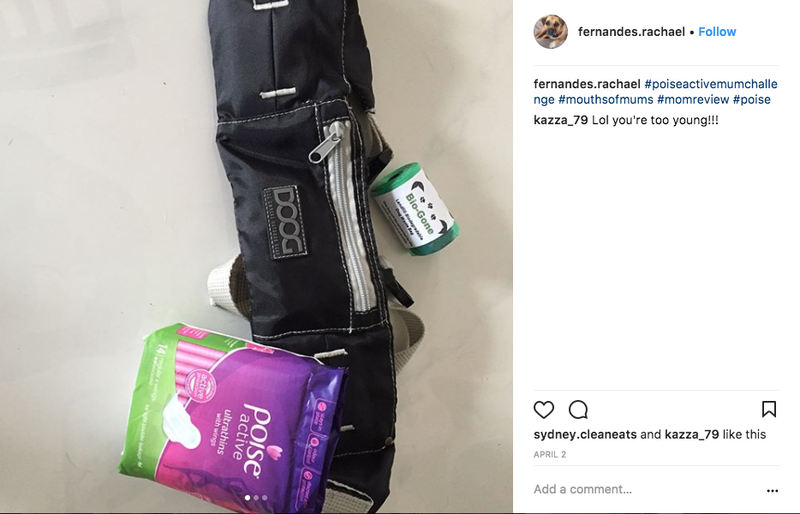 So I highly recommend Poise to keep you dry and protected and no embarrassing moments! Wow finally at product i can use and not be embarrassed by. When im having a sneezing fit i dont need to worry about pering myself alittle or alot cause cause poise is there for me. Great fit and design. Thank you for letting me review this great product! 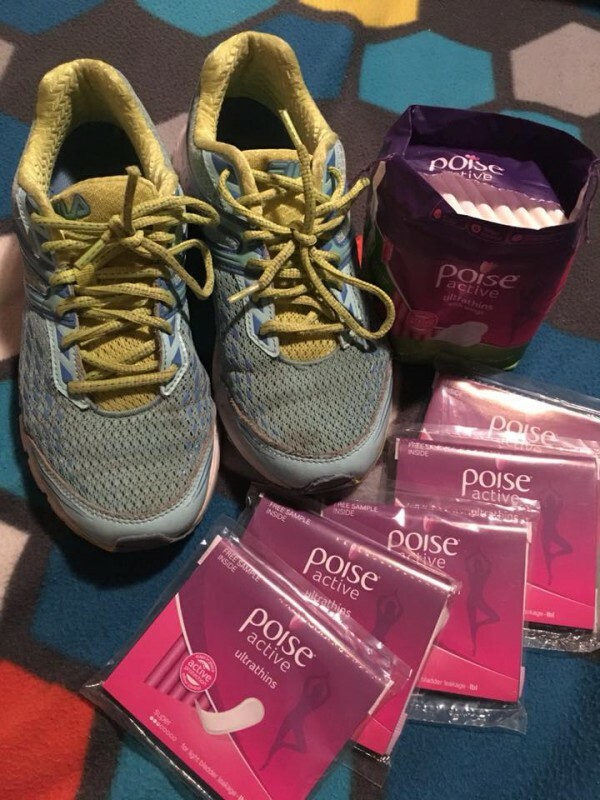 The poise pads are easy to use and so comfortable you forget you are wearing one. A better pad for protection against bladder leakage its absorbant without being bulky. The pads are great when you are active as they don’t move around and offer good support during exercise. Definitely a game changer. Would definitely buy again. A great product. A very comfortable pad that I didn’t even notice I was wearing. 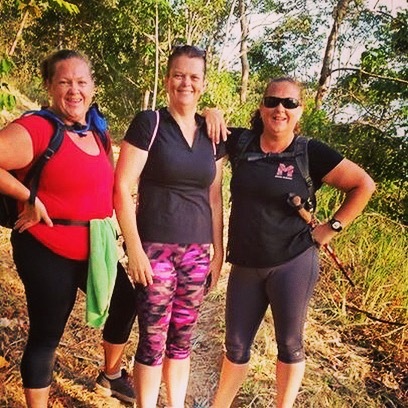 After giving birth to 3 kids, it gave me that extra confidence and reassurance that I need when I exercise. Before trialling Poise Active Regular Ultrathins Pads with wings I was always apprehensive about taking my little one to the park as he’s very active & keeping up, for me, meant LBL was always making me feel self conscious thinking everyone would notice, but with Poise Active Ultrathins drawing the moisture away & the wings keeping the pad in place I can run around to my child’s heart’s desire! My smile says it all, it’s like I have a little secret and it’s all thanks to Poise???? 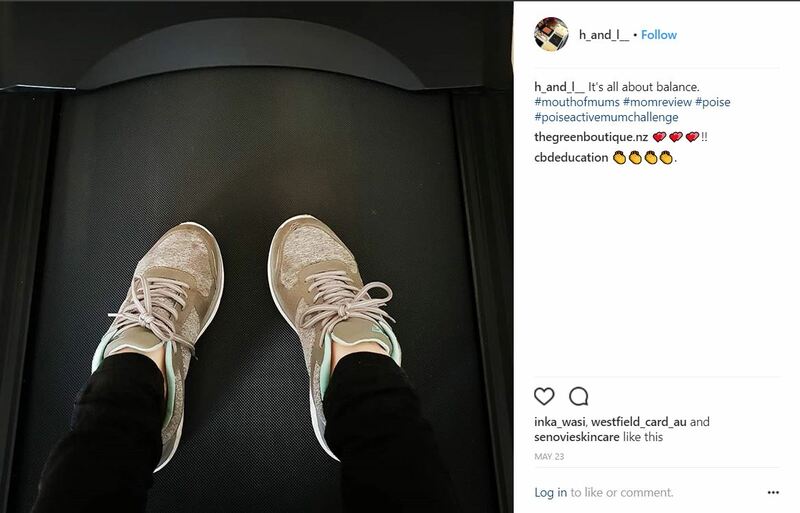 I trialed Poise Active Ultrathins Regular with Wings for one week doing what i normally do – work, exercise, a bit of housework and relaxing in front of the TV. I always use a liner to assist with LBL, keeping body odour low and to generally feel fresh. I found Poise to be fantastically designed with how well they stuck and stayed in place. 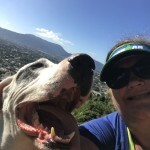 There was absolutely no movement at all, no matter what activity i was engaged in! 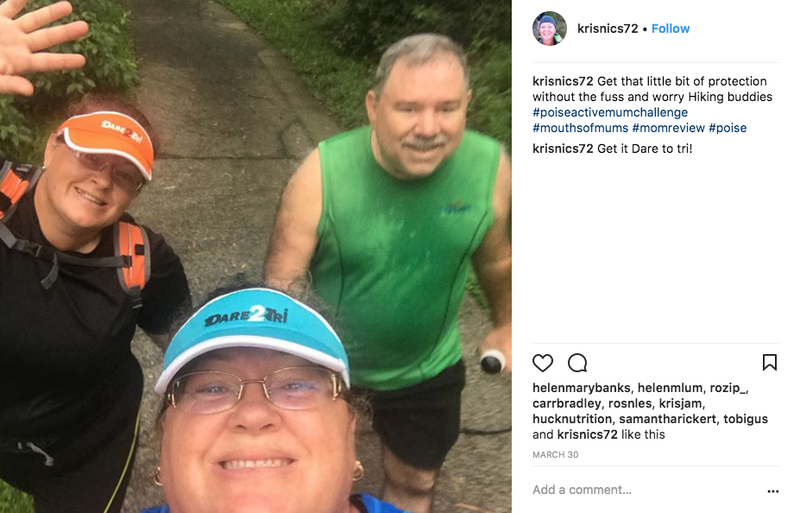 While exercising, i found Poise to be ideal as, not only did the liner never move, but it was extraordinarily comfortable. However, when not exercising, the liner felt somewhat ‘stiff’ and rigid. 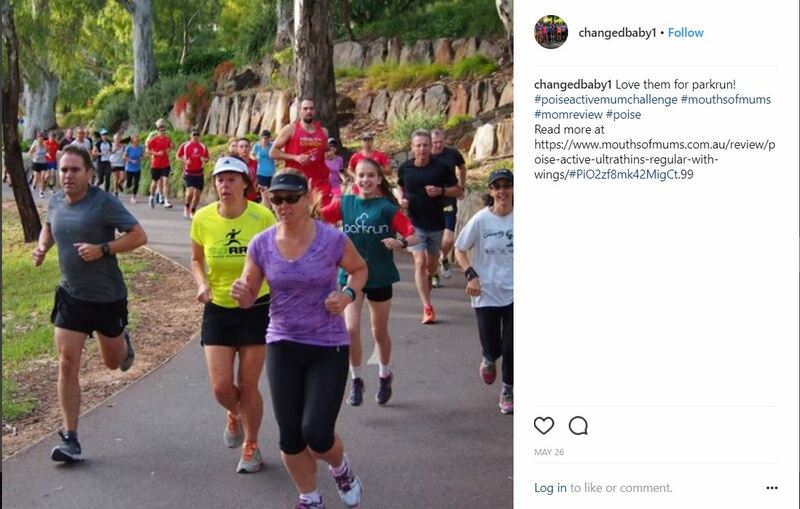 In general, i couldn’t really find any fault with Poise but i did find it to be exactly what it is described as – an ideal liner to use while you’re active. No stress or embarrassing moments. As we all know, stress is unhealthy. Stressing about whether you’re going to pee yourself a little if you laugh, jump for joy, or even bend over isn’t a fun way of life. Like having a pal there to comfort you during the bad days, Poise is having a pad there that’s literally comfortable during the LBL days. 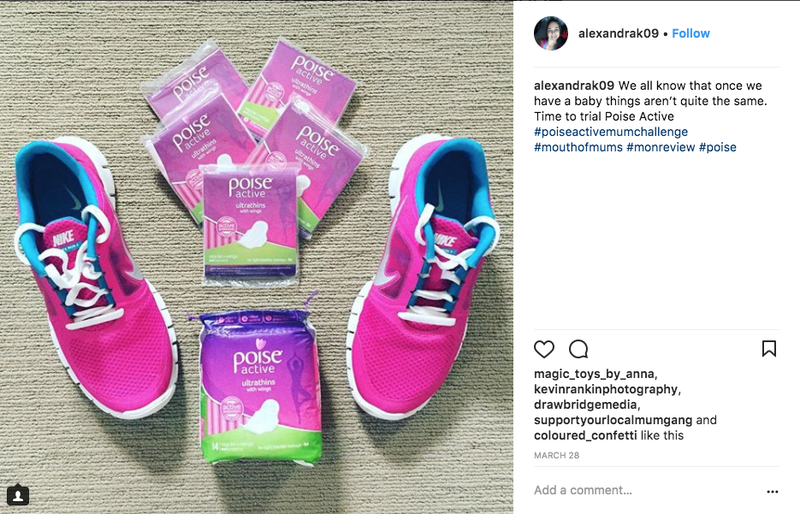 With enough absorbency to keep you worry free, and easy to use wings that aren’t too sticky that if you get them stuck together you can gently pull them apart, I can happily say Poise made my day. Only odd thing was in the 14 pack, one of the pads was missing. The plastic wrapping part was there, stuck together, but no pad inside. Not to worry, at least the others were there and as I was lucky enough to get for the trial, I can’t complain. 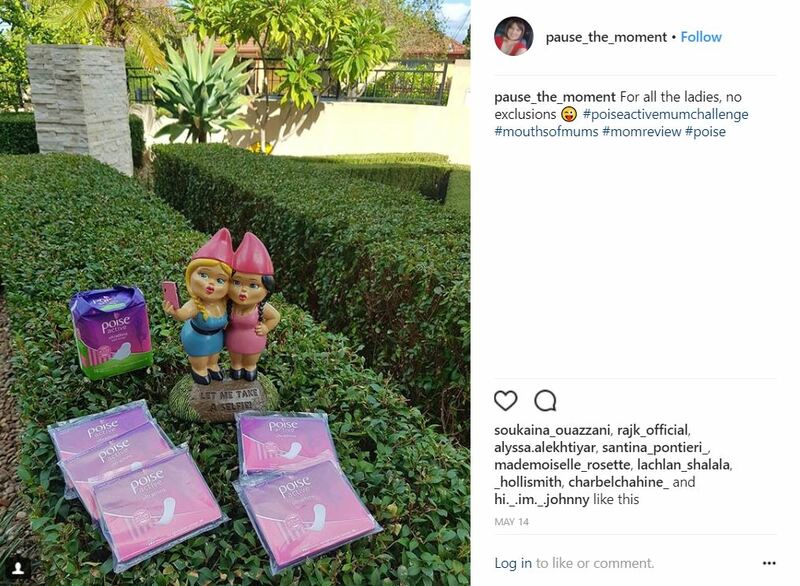 Thank you Mouths of Mums and Poise. Great for when doing more active activities and even for every day wear. They don’t bunch up like other brands do and I find them a lot more comfortable than other liners. They felt as if I wasn’t even wearing a liner at all! Would highly recommend and use again! 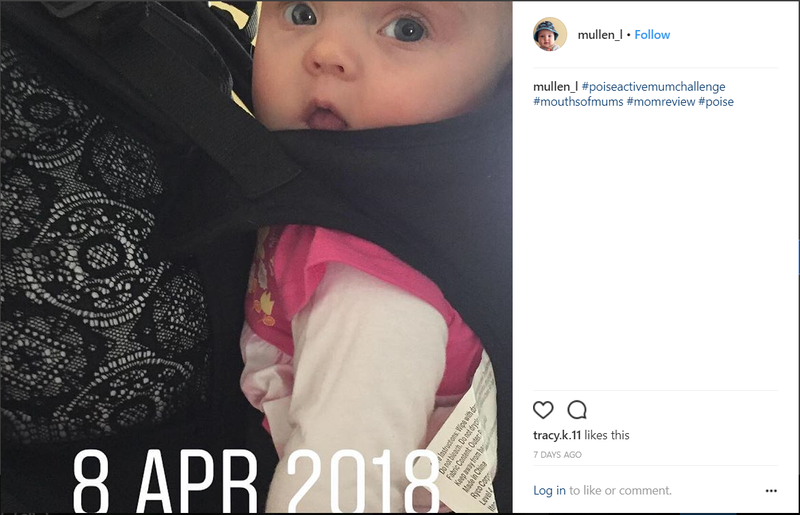 I haven’t had LBL while using the pads (I don’t expect to unless I have another baby) I would definitely use this product if I had another baby post birth. They are comfortable, absorbant, not bulky and would leave me feeling confident that if I did have LBL I wouldn’t be left embarrassed.